We buy houses in El Paso, TX! We are experts in discovering innovative approaches to real estate property problems. Our home buying team has problem solver mindset. We help everyday homeowners in Texas that to need to sell fast. Would you like and need to sell your house in as little time possible at a fair price? Do you need to sell your property in El Paso fast, for a fair price and at a well known local title company? How about without typical real estate sale hassles? Perhaps you don’t have the time to wait for a realtor to sell your home? We are here to help! When you are in need to sell your property fast for any reason we would like to let you know that you’ve found the right investors at we buy houses in El Paso Texas because we buy houses anywhere and other type of properties FAST and in CASH! In just 7 days you can have a handsome check in your hands and you can rest easy knowing you finally sold your house and got a great deal in the process. Our real estate investors would love to sit down with you and present you with a good offer to sell us your house or property in only 24 hours. Get in touch with us today and we will conceive for you the best deal in the market for your house and you will see we mean business for we buy homes and properties in the El Paso, TX. area at more than fair prices. We buy houses in El Paso because we want to help homeowners and because its something that we enjoy doing. Honesty and integrity is part of every sales agent in our company that is comprised of a group of investors that have the market knowledge to offer great prices in the El Paso, Texas area. If you are looking for a company that offers cash for houses then you’ve found us! We’ve bought many houses and other properties in the southwest and we know our craft well. What could be more comforting than to know you are dealing with the best team of home buyers on this side of the United States? Our industry professionals will go over with you the best options available to you as a seller and we will inform you of the best path to take so you can sell for the most CASH and walk away happy knowing you made the best decision. We are real estate investors in El Paso TX and we are happy you are considering selling to us for a good price! If you are looking to sell inherited property fast, we can help. Call us even if you are still in the probate process. We can give you quick hassle free options. One of our associates can show you how to sell that house very fast, and talk about the many advantages of selling us your house for cash. We are a great option for older inherited homes that need a lot of work to sell FHA or VA.
Where can we buy houses? We can buy houses anywhere in El Paso Texas. Our Attention to detail to our sellers and buyers have made us a successful teal estate firm. If you need professional home buying industry professionals and fast buying investors know we are just a phone call away. If you accept our cash offer we can close some deals in as little as 7 days and you don’t have to worry about closing costs or any realtor fees or commissions that take from your final settlement. We can buy your home or property FAST, in CASH in about 7 days from our initial no obligation to sell offer. Did your property need repairs or any other restorations? Worry not because we buy homes in El Paso not caring about its condition because our team buys in an “As-Is” condition! As like any professional investor we will consider the amount of repairs and local market conditions when we make the cash offer to purchase but we will take the house as it sits today! We can offer you a great deal in just 24 hours! We are a hassle free home buying company and we will make the transaction as painless as possible. What more could you ask for from a professional group of investors like us that work out all the details for you in a timely manner? We handle everything needed to sell your home to us and you don’t have to worry for a thing except to accept our offer on your table in just 24 hours from the home appraisal. 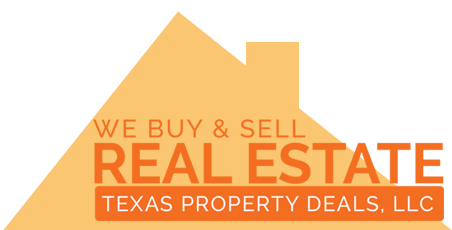 What can you expect when selling to Texas Property Deals, LLC? CASH For Your House in as little as 7 Days!